← ZEITOUN – Top Read! 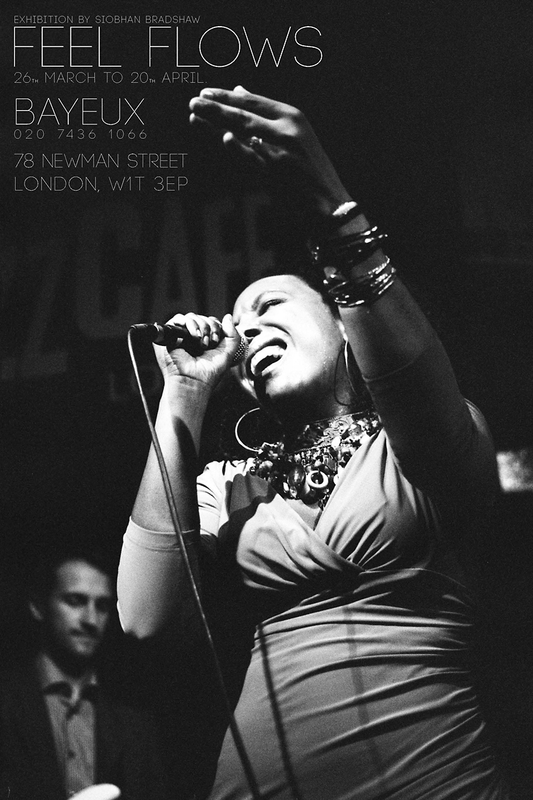 If you’re a Camden Town Jazz Cafe regular or a late night Soho wanderer you might well have come across a camera totin’ Siobhan Bradshaw. After studying fine art at St. Martins she traded in painting and drawing for an SLR and an F3 film camera and true to her Soho roots, in 2010, she held a successful central London show in Cuts – yes, the hairdressers, it’s a Soho institution! That show attracted the attention of veteran music photographer David Redfern and two years on she has collected together a host of music inspired images for a brand new show called Feel Flows at Bayeux. Siobhan’s photography and film making embraces the spirit of those classic 50s and 60’s jazz album sleeves and the intensity of film noir. As a photographer she equally at home in the moment and at one with musicians and singers in full flight as she is with desolate, late night cityscapes – places and spaces devoid of people but fused with an undefinable energy. Feel Flow shows the artist’s commitment to that art of photography. While she has moved with the times and taken on board digital technology she clearly loves the power of a well crafted print. 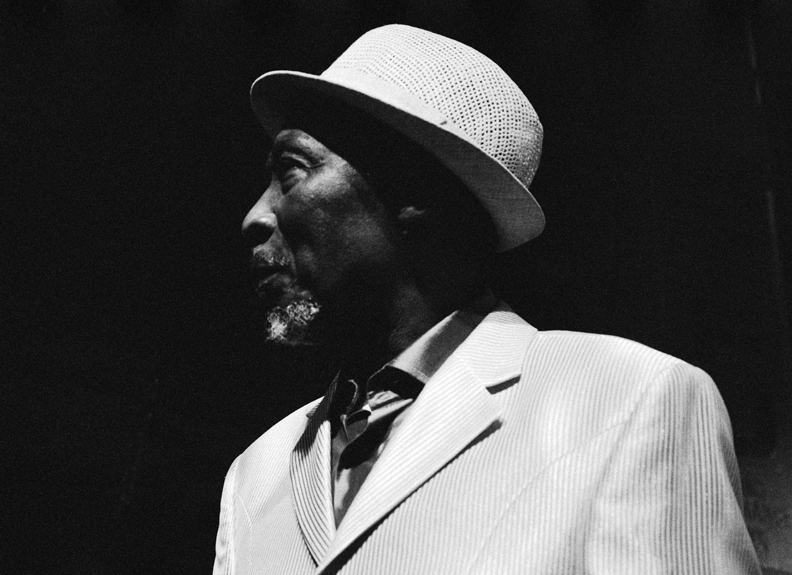 Drawing on the dozens of live sessions, the final mix of shots in Feel Flows includes an elegant and pensive portrait of reggae legend Alton Ellis, the mighty Pharoah Sanders, funk and soul legends Maceo Parker, Bobby Womack and Reuben Wilson. Rap artists Mos Def and Pharoahe Monch share the same frame as do N’Dambi, Angie Stone, and Leela James but it’s the solo shots of powerful women like Meshell Ndgeocello, N’Dambi, Angie Stone, Leela James, Jean Grae, Adriana Evans and Joyce Sims that provide the core of this show. Alton Ellis - Rock Steady Don! Unfortunately, I’ve come onto Feel Flows a bit late in the day and it finishes on 20th April. So, don’t sleep on this. If you’re in London’s West End head on down to Bayeux in Newman Street which is off Oxford St. 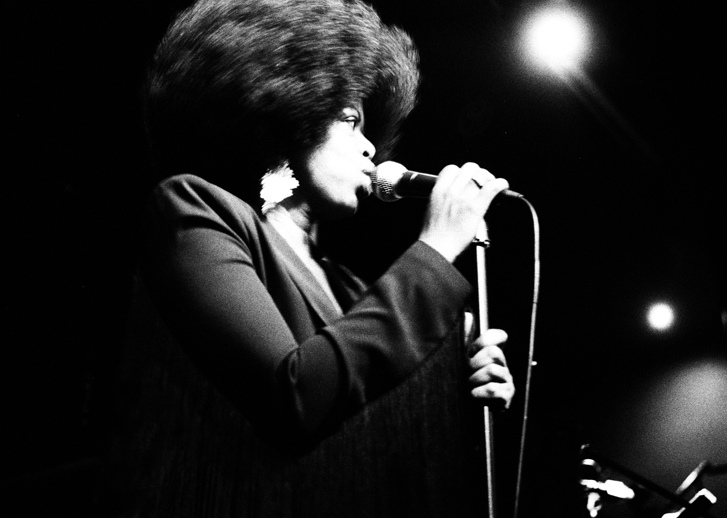 This entry was posted in Is That Jazz?, Just Runnings and tagged Alton Ellis, Angie Stone, Cuts, David Redfern, Jazz Cafe, Joyce Sims, Meshelll Ndege Ochello, Mos Def, N'Dambi, Pharoah Monch, Pharoah Sanders, Photography, Soho, Soibahan Bradshaw, St. Martins College Of Art. Bookmark the permalink.